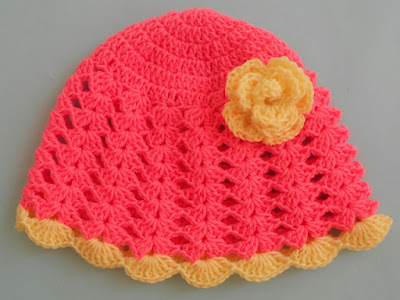 A hat is a thing of clothing which is worn on the head.Hats frequently have an overflow, and may be either set on the head,or on account of a few babies' hats,which are pushed through the hat and the hair. A sun hat or otherwise called the Baby Beach Hat , bucket hat or summer hat.it is a head covering particularly intended to shade the face and shoulders from the sun. 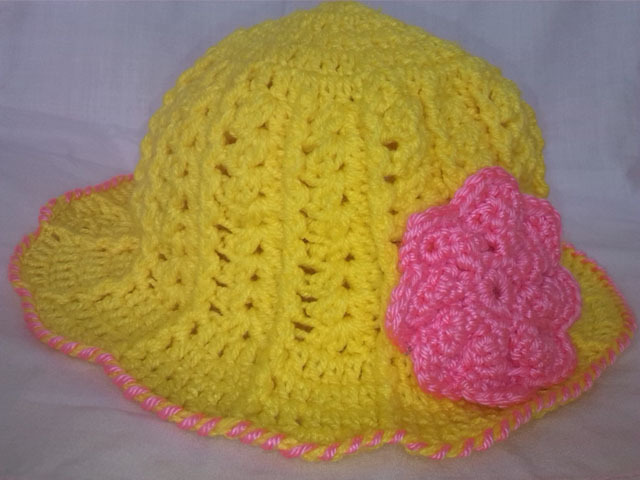 The sun hat make in an alternate sort of shape and from diverse materials. In advanced times, sun hats are regular in spots far and wide, essentially in occasion resorts dwelling in nations and regardless of you can use in an alternate event.They are especially valuable in shielding from sun hat and for likewise gorgeous. The style of a sun cap can extend from little to expansive brims.However, as a general rule, the overflow is four to seven inches long. Today we talk about the sun hat. 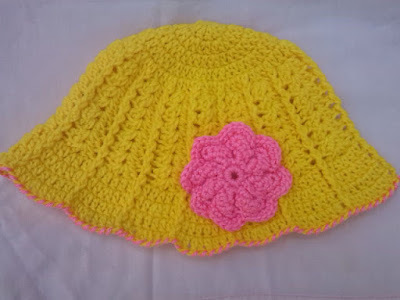 I made the hat for 3-4 years youngster. It is your decision to make the hat little or in a large size. 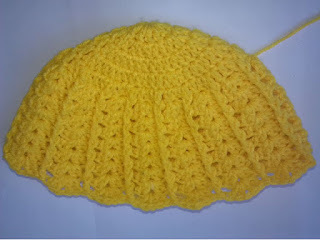 I use here shell stitch and post double crochet stitch in this hat. 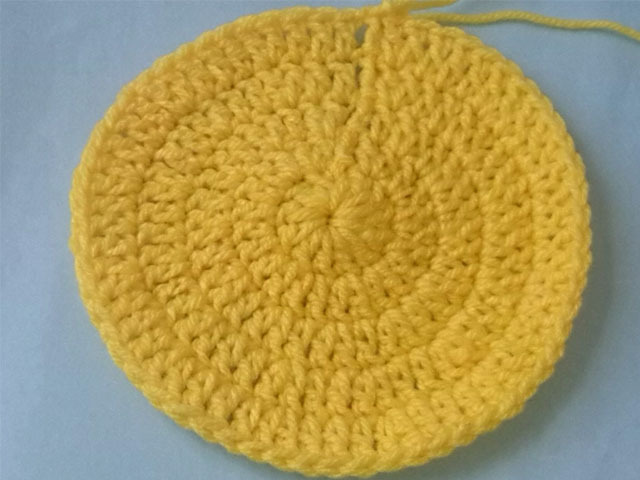 I want to explain little bit about the shell stitch, I made this hat with the assistance of shell stitch and post double crochet stitch . To make shell stitch have a different ways. 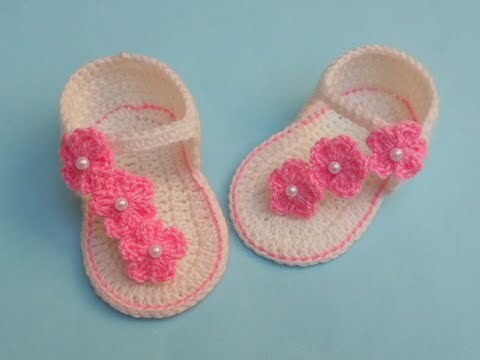 Some people make the shell stitch( five double crochet in each stitch), I made the shell (two double crochet, chain one and two double crochet). 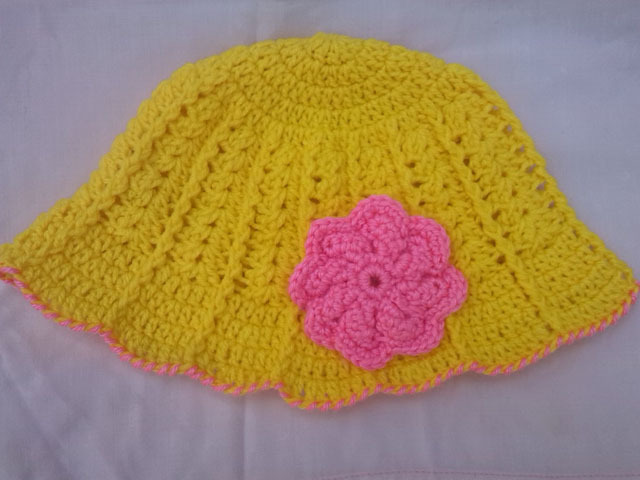 decorated the hat with different kind of crochet flowers and other sort of any lovely crochet outline. Edge of cap: make it edges with your own particular delightful shading, and diverse outline. 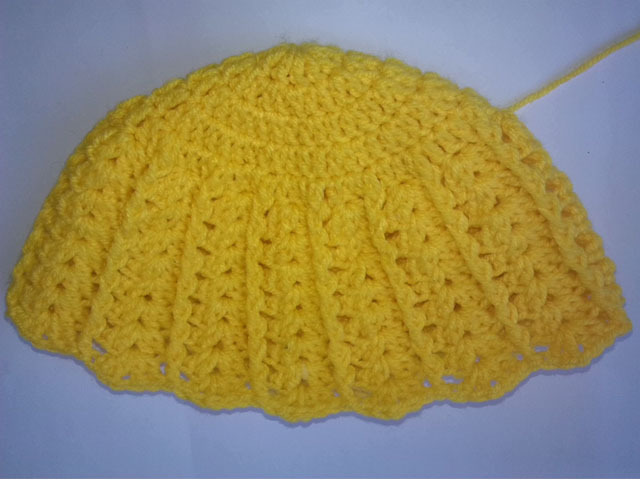 I hope that you will like and enjoy this simple shell stitch hat. skip st, fp dc,skip st, shell) across,slst. Rnd7: shell into the ch sp, fp dc into the fp dc,repeat around,slst. Rnd14: fp dc, 5dc in each st into the shell sts,fp dc in fp dc, around. slst. next 2dc, 1dc into the last sts, fp dc in fp dc) around, slst. Rnd16: fp dc, 6dc in each stitch, fp dc,around.slst. last sts, fp dc, around, slst. Make the edges with yarn into the yarn needle in each stitch across. attached the flower on the hat with yarn needle into the same point. Cute! How many chains to start the magic circle? I'm not too good at crochet but would like to try this hat.